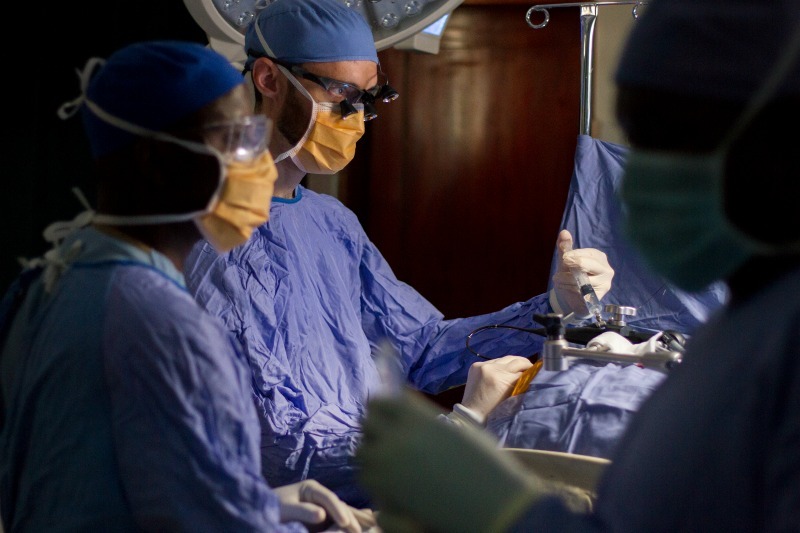 Jacob Lepard is a fifth-year neurosurgery resident at the University of Alabama at Birmingham and recipient of The Paul Farmer Global Surgery Fellowship. Jacob along, with his wife Morgan, had been praying for a fellowship that would incorporate his love of international medicine and ministry. After five long years of residency, Jacob had begun to feel burnt out. He longed for a position that would give him a sense of purpose. At a conference in Houston, an attending physician approached Jacob and asked him if he had considered the Paul Farmer Fellowship, which is sponsored by Harvard’s Program for Global Surgery and Social Change. 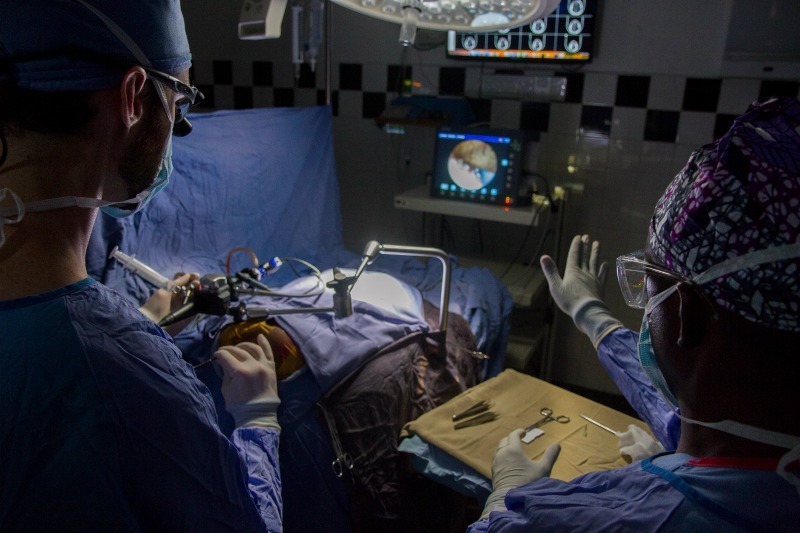 The fellowship is associated with Dr. Benjamin Warf, the senior medical director of CURE Hydrocephalus and Spina Bifida and the man behind the revolutionary ETV/CPC procedure that changed the way the world treated hydrocephalus. The fellowship focuses on helping physicians develop skill sets necessary to treat conditions common in resource-poor settings. 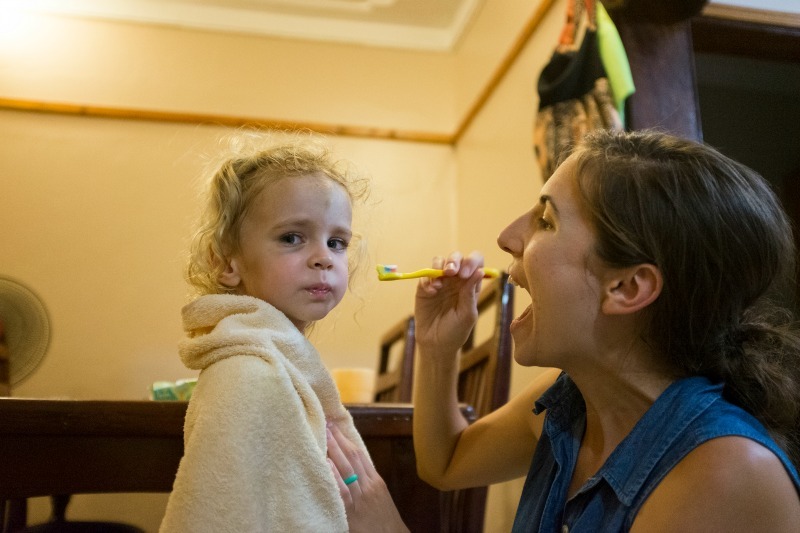 The Paul Farmer fellowship hadn’t even been on Jacob’s radar, but when he talked over the possibility with Morgan, he was surprised to find his wife was on board with the idea right away. “So he came home one night, and he was like ‘How would you feel about moving to Uganda?’ Immediately in my heart, I felt this peace about it. I was like ‘Yes! I am totally on board with that!’ And I didn’t hesitate,” said Morgan. The decision was made. Other options for international work had felt forced; the Paul Farmer Fellowship provided an opportunity that perfectly aligned with the Lepard’s desire to serve in an evangelical community and with Jacob’s research interests. 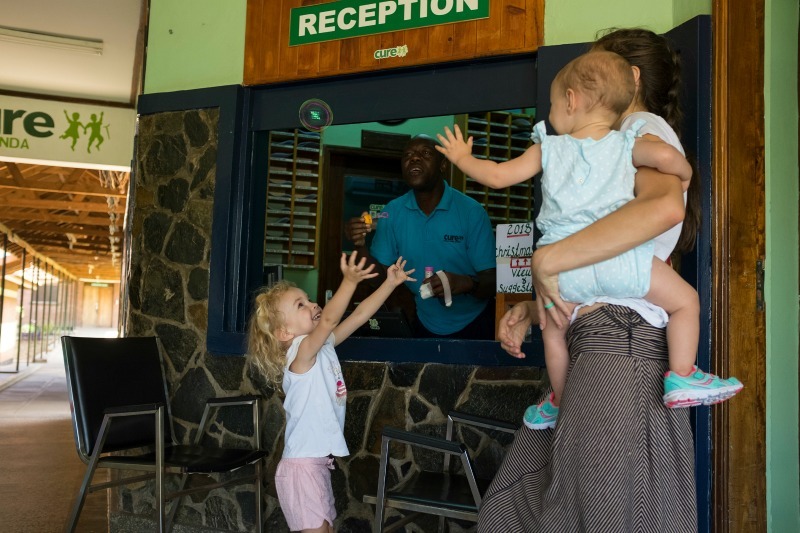 Their prayers now answered, Jacob, Morgan, and their two daughters, Madison (age 3) and Emery (15 months), departed for a year-long adventure to three cities on three continents. In July, the family set off to Boston for Jacob’s month-long orientation, which included the opportunity to work with Dr. Warf. After orientation, they prepared for their move to Uganda, a process that included gathering information about living in Uganda from as many people as possible, packing up and leaving their house with strangers, and fighting to get the very last of the Malarone, the medication that prevents malaria, in Chattanooga. They arrived in Entebbe, Uganda, at the end of August, drove straight to the guest house in Mbale, and Jacob started working at CURE Uganda the next morning. The following week was rough for the Lepard’s; the girls were jet lagged and, along with their mother, got stomach bugs. Keira Erickson, wife to Executive Director Tim Erickson, helped Morgan get groceries and find her way around town. It took a couple of weeks to get acclimated, but soon once-intimidating trips to the market became ordinary, and Morgan was even able to get family favorites like brown rice, peanut butter, and ingredients for cookies. The family tried new foods, like sticks of sugar cane as tall as a person, and an unidentified spiky green fruit the girls seemed to enjoy. The girls learned to love rice, beans, and pineapple. Madison prays over their dinner. During the first half of their journey, Jacob learned the endoscopic third ventriculostomy and choroid plexus cauterization (ETV/CPC), a shuntless operation used to treat children with hydrocephalus. Morgan learned to trust the Lord to guide their way and to give them their daily bread while ministering to the brokenhearted. Madison learned phonics and struggled to adapt to a new culture, while Emery began to learn to walk. For the first time in a long time, Jacob kept fairly regular work hours at the hospital. 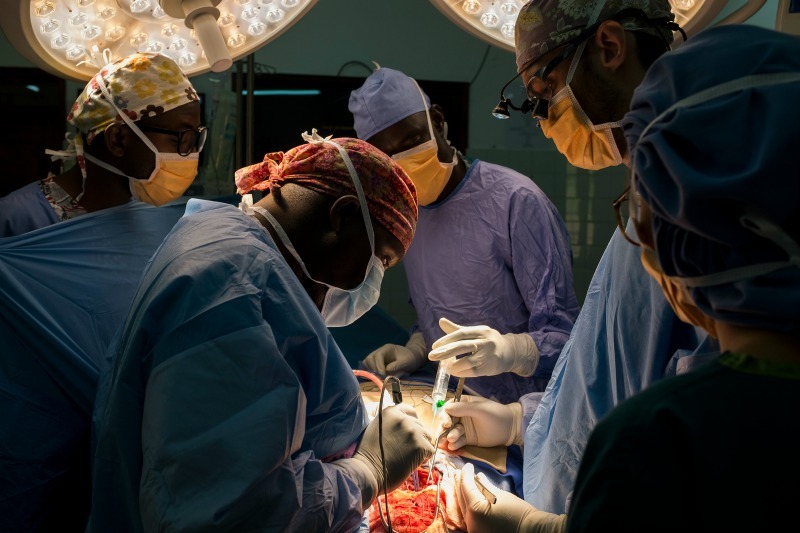 He learned from three surgeons (Dr. John Mugamba, Dr. Peter Ssenyonga, and Dr. Justin Onen), who each held a different teaching style. Dr. Jacob practices with the flexible scope as Dr. Marie watches. Dr. Justin advises Dr. Jacob as he performs an ETV/CPC. Dr. Jacob assists Dr. John in placing a shunt. 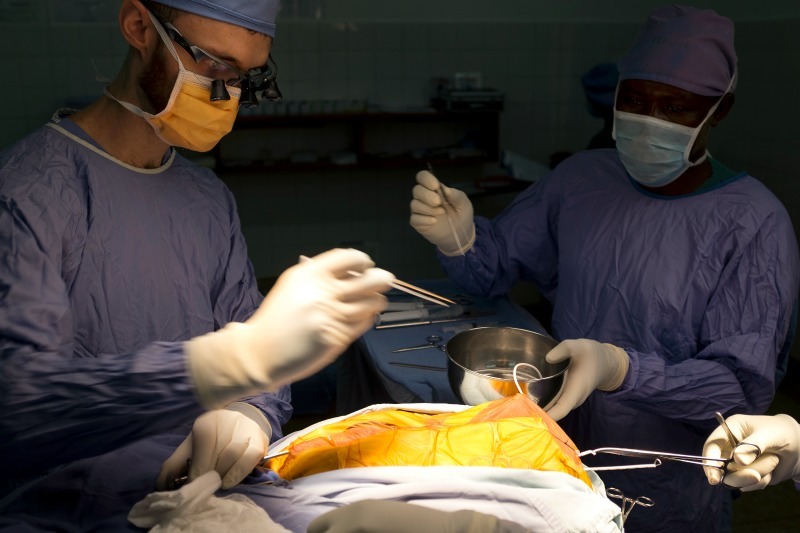 Dr. Jacob works with Dr. Peter to perform a craniotomy and tumor removal. 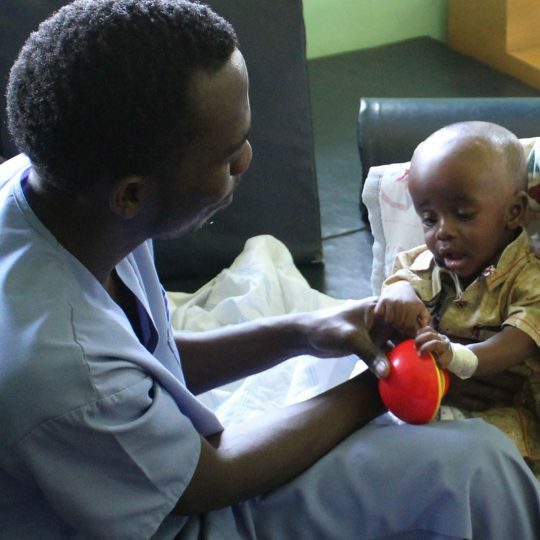 Jacob was struck by how different CURE Uganda was from other hospitals in which he had worked. 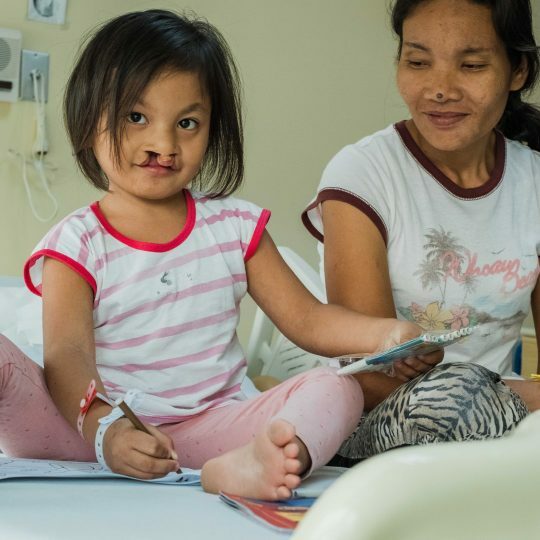 He was impressed by the hospital’s self-sufficiency in treating its patients and by how seamlessly the staff incorporated the love of Jesus into their day-to-day procedures and interactions. “I have been at Christian hospitals before, but they are only Christian in that they have a cross on the wall and a pastor available … and that’s it. But this is truly a ministry. 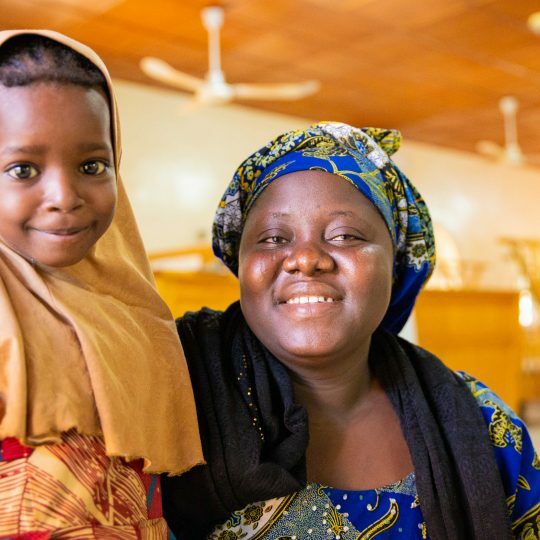 There are chapel services, and there is active evangelism with the moms and patients. They’re really meeting a lot of spiritual needs as well as physical needs, and seeing how that works … has been impressive,” said Jacob. 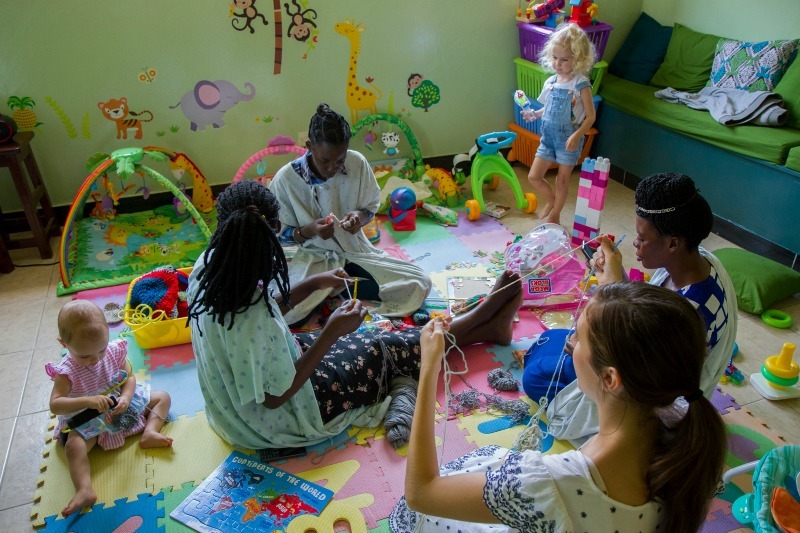 During the family’s first week at CURE Uganda, Kiera suggested that Morgan consider volunteering in the playroom, a place where she could both minister to patients and their caretakers and be with her own children. Morgan agreed and discovered a kinship with the mothers who frequented the playroom with their own kids. “When you do ministry and motherhood together, it is not perfect, and often times it is quite uncomfortable. You feel like you are stretched in so many different directions, and you can’t focus on ministering to someone in the ways you were used to before you had kids. In one sense, I feel a little inadequate because I feel my focus is always divided in those situations. 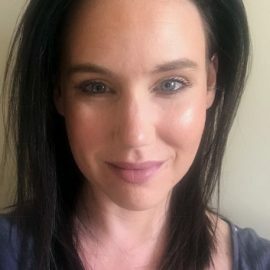 But in another sense, I feel like having my girls there and being in there with other moms and babies … motherhood is the biggest sisterhood on Earth, so immediately I have something in common with these women,” said Morgan. Morgan paints a mother’s toenails as Emery climbs on her back while Madison runs by. Most weekdays, Morgan volunteered in the playroom with her girls. 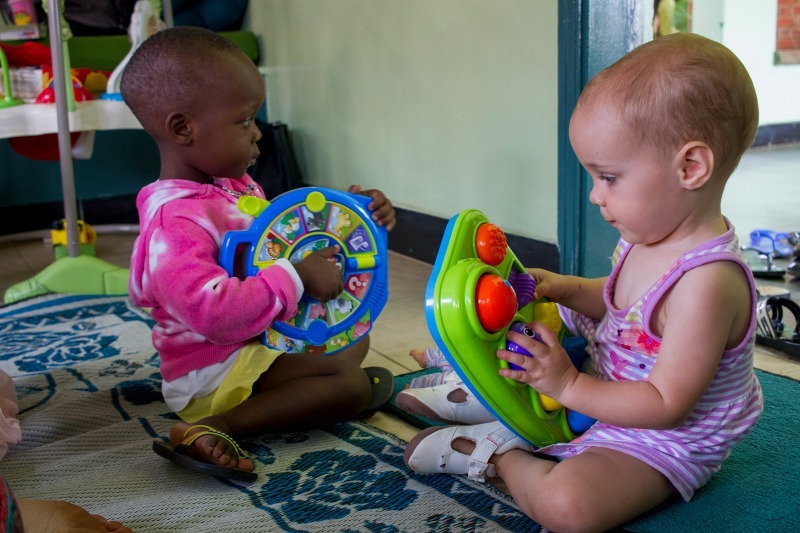 Emery plays with Joyce Mary in the playroom. Morgan untangles string as the girls play. 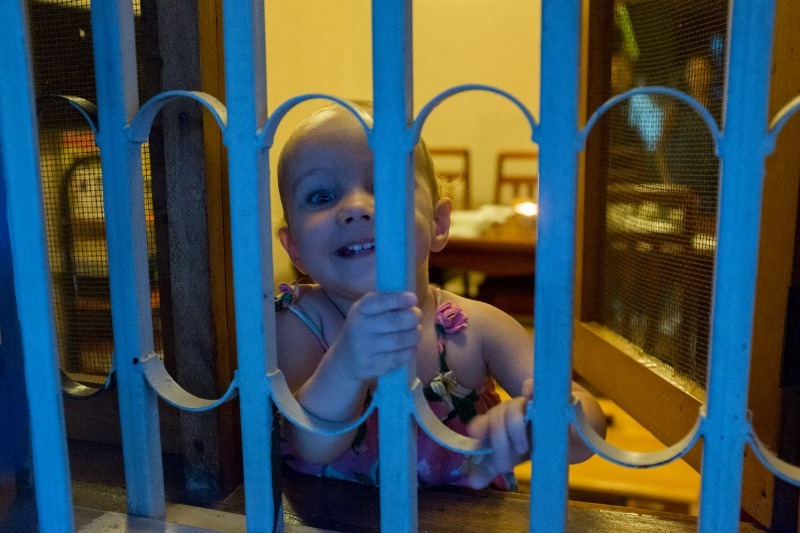 Morgan struggled with the language barrier but found other ways of relating to the moms in the playroom. She prayed for them, painted their fingernails, and just made herself available. She focused on simply being there for them. The Lepards are finishing up the first leg of the fellowship in Uganda and will move on to Southeastern Asia in January. While there, Jacob will work with three acting trainees. 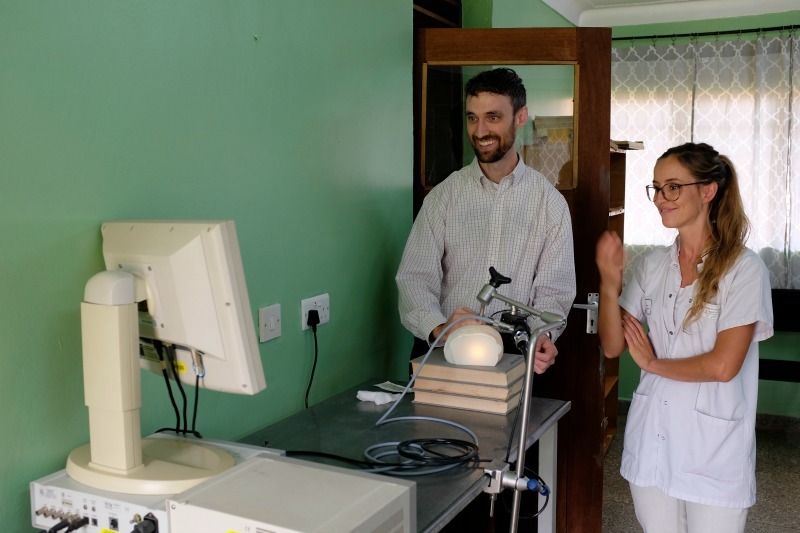 He will assist in research and follow-up with patients who have received the ETV/CPC surgery, recording their outcomes and comparing the patients there with hydrocephalus patients in Uganda. 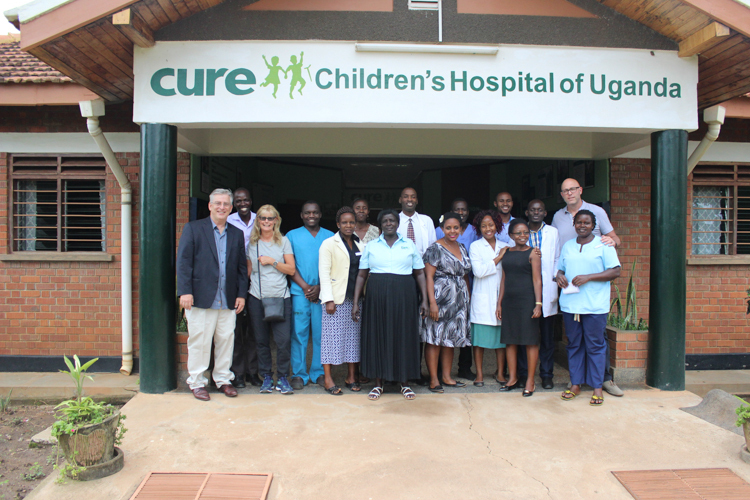 “CURE (Uganda) is it’s own kinda incredible world, where the whole hospital revolves around ETV/CPC. They have dedicated OR space, ICU beds, support beds, and it all works very well. But if you are at a government hospital, you are struggling for OR time, struggling for bed availability for a patient population that really doesn’t bring in much money to the hospital. While in Asia, I’ll be getting a sense of what the difficulties have been for these trainees so that maybe CURE can better support them in the future, or at least better prepare some of the trainees. 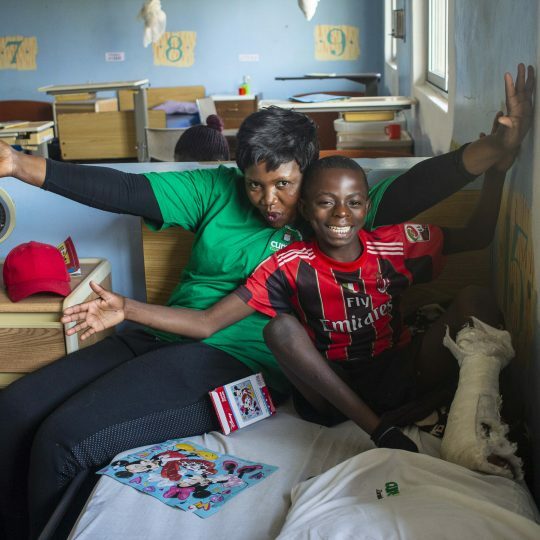 I’ll also be scouting out potential sites for other trainees because before CURE ever sends anyone here, they always visit the hospital to make sure they already have some of the infrastructure necessary to support ETV/CPC,” explained Jacob. Please pray for the family as they prepare for yet another huge transition. Morgan expressed nervousness about living in a big city but is excited to experience authentic local cuisine. Each part of the Lepard’s year-long journey will help determine their future. Morgan is a doctor as well and is currently applying for residency. 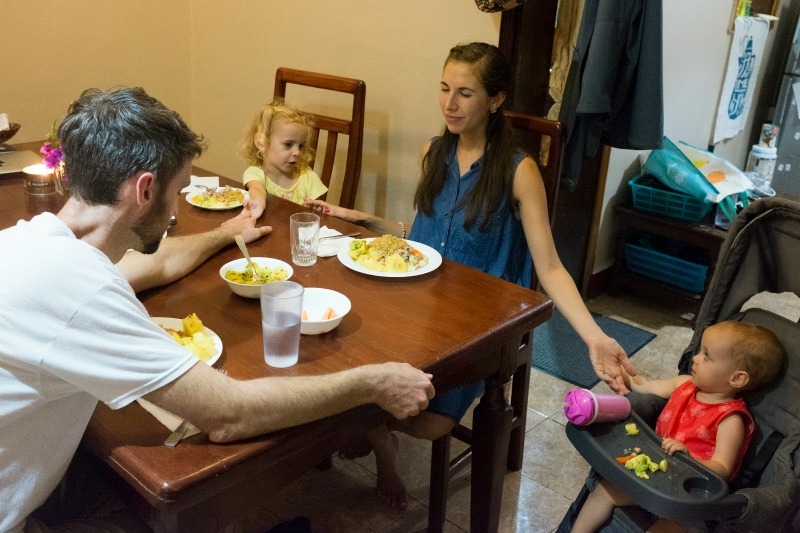 “The goal we have for this year is to see how international missions fits with our family and to get a gestalt on that, and if the Lord calls us to do that full time … that would be exciting. But we don’t have any concrete vision for what our lives will look like. We are very open. I think the next step is to finish residencies in Birmingham, and then the Lord will open a door for something after that,” says Morgan. Thank you, Lepards, for your adventurous spirit, your desire to help children, and for your willingness to proclaim the kingdom of God. We are excited to see all the doors the Lord opens for you in the years to come. Morgan reads to Madison before bedtime while Jacob eats a soursop. Dr. Jacob performs an ETV/CPC. Madison and Emery reach for a bubble blown my Moses.